The word craft conjures different images for different people – from seaside markets to Swiss watches, but in its truest form an object that is hand-crafted is the epitome of luxury. On par with the city's fashion and design festivals, the annual London Craft Week has become a showcase of just how diverse and innovative makers are, not to mention just how seriously the British take their craft. While there is great tradition in British ceramics and textiles, there is also a contemporary side with people like Timorous Beasties blurring the boundaries of craft and design with their Banksy’esque wall coverings. Craftsmanship also plays a role in the production of tiles, mosaics and bathware for companies such as Claybrook, where each of their products is checked and finished by skilled artisans. In fact, their baths each receive 60 hours of hand polishing before they leave the factory. It is that attention to detail that has seen their baths find homes in some of the world’s most luxurious hotels including the Mandarin Oriental in Hyde Park, though it is more than just the finishing that brings the luxury. Offering a customisation service, they bring luxury to a new level with the baths and basins made from Marbleform, a stone created from dust generated in the production of their tiles. Combined with resin, the result is a stone which is recycled and recyclable, tactile with a high level of heat retention. Being an engineered stone it is also capable of achieving finer details, something Jo Jackson, Group Manager of the in-house design team at Rogerseller, has taken advantage of in refining some of Claybrook's existing products for the Australian market. 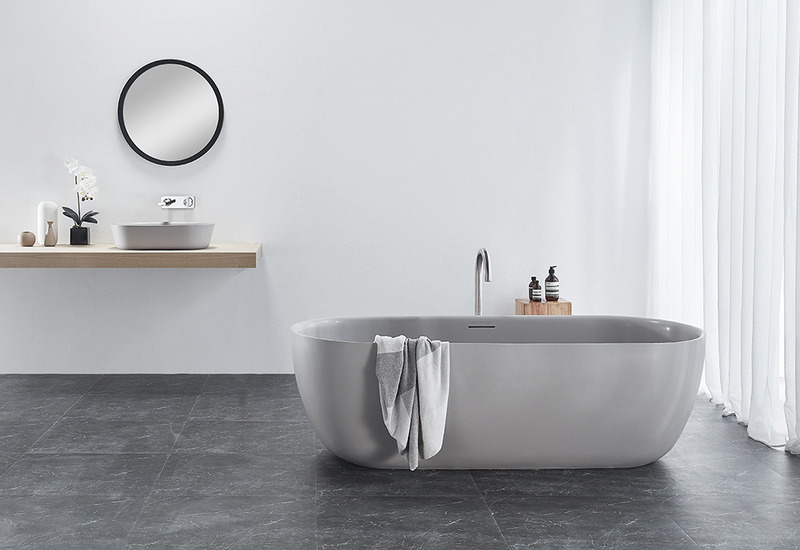 Working in collaboration with Claybrook’s team of design and product engineers, the Ellipse bath was given a softer edge with no loss of comfort for the user. 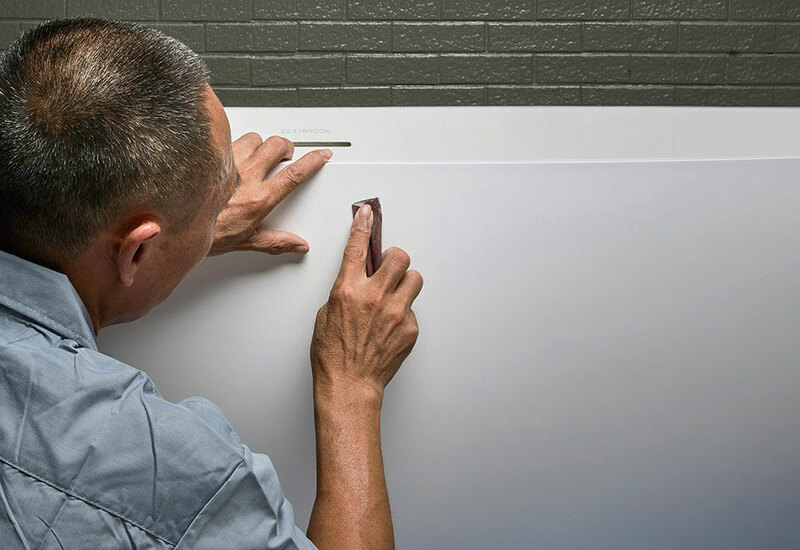 Of course, the luxury of a completely bespoke bath is out of reach for most of us, though through this collaboration we can access something tailored to our needs. And that is where true luxury comes in – to have options. And whether it is a piece of art, furniture or joinery, something that is crafted specifically for you and your home is worth more than its price tag. Australia, like Britain, has seen a meteoric rise of makers across the country in recent years and many of them are young yet highly skilled. Home owners can now commission a custom table locally, and architects have access to a greater level of bespoke joinery as Takt Studio for Architecture recently discovered. Based on the south coast of NSW, Takt engaged local furniture maker Chris Nicholson to turn his hand to the joinery details of the Cloud Cottage in Bowral. A highlight of the project is the blackbutt and brass shelving unit where Nicholson’s attention to detail ensures the metal plate shelves slot perfectly into the timber frame. Akin to architecture itself, where a home is designed to be lived in – investing in craftsmanship, be it a bath or an entire bathroom, brings a level of luxury that can be enjoyed for years to come.